Connect To and Integrate Data. Sounds Easy. Right? Connect To and Integrate. Sounds Easy. Right? When I meet with our clients and discuss the marketing challenges they face, I expect to hear concerns about budget limitations, busy schedules, and even struggles between different managers or departments. But lately, a trend has been emerging. The challenges I learn about have more to do with data and technology than anything else. I wish I had the all-familiar “Easy Button” to help clients solve these issues. Unfortunately I don’t. And I further wish that we didn’t have the same issues… but we do. 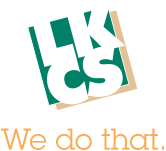 At LKCS, we work hard to integrate and connect many of our systems. But at the same time, we keep moving ahead – adding new systems with new features and benefits for our company and our customers. And, yes, we prioritize what we’ll connect and integrate at the start…and what we’ll get to “later”. Of course, “later” may or may not ever get here as we’ll move on to the next new application that catches our attention. The fact is that for all companies — large, small and everywhere in between — today’s challenge is to connect and integrate. Great systems make this easy. And those are the ones to buy. I’ve learned to purchase hardware, software, services and other technology solutions that are designed to simplify connections to systems regardless of manufacturer or model number. Other systems (and vendors) make this hard. There are still way too many “proprietary” solutions. Companies think that by limiting integration options, they are protecting the business they’ve built with their customers. But, in fact, I believe they are putting that business at risk. I’m happy to see others figuring this out as well. I recently had two customers tell me that they are looking for new core processing and home banking providers because of the cost to integrate them with third party solutions that they want to use. Those are massive changes for these clients to undertake – but they are doing it to improve connections and integrations. I think of the standard 110 volt, 3-prong outlet and the myriad of products that plug into them. What if every outlet manufacturer insisted on their own plug? But they chose to standardize — and they keep selling millions of outlets each year. And we keep buying various electronic devices to plug into them without ever considering if they will easily connect and integrate. So kudos to the companies that design products and services that incorporate ways to integrate them with other products and services from other vendors. And shame on those companies that refuse to allow it (or make it prohibitively expensive to solve a business need). I love coming up with creative solutions to marketing challenges. And I look forward to the day that getting data from one system to another is as simple as pushing a plug into an outlet.